ℹ️ The German police raided homes of „Zwiebelfreunde“ privacy activists this week. Reasons are dubious to say the least. 🎧 Martyn’s new album ‎Voids is out on Ostgut Ton. I love his music. 🔑 Protecting cryptocurrencies correctly is hard. This talk about “Building Crypto Castles” raises interesting points about new security models coming with the Information Age. 👨🏻‍💻 Cryptocurrencies is not only about money. It is also about rare digital collectibles. Collectibles can be purchased on specialized marketplaces like OpenSea or Known Origin. Technically, collectibles are defined by the ERC-721 standard. Don’t know how to code? Don’t worry, the fine people of Smartz provide free smart-contract code. 👩‍💻👩‍🎨 Crypto-collectibles are huge opportunities for digital-minded artists as they can help expand Patronage Collectibles for Creators. 📺🇫🇷 La nouvelle saison d’Au Service De La France est disponible sur Arte+7. C’est du bonheur! Jean-François Halin prouve encore qu’il est un des meilleurs auteurs comiques Français. 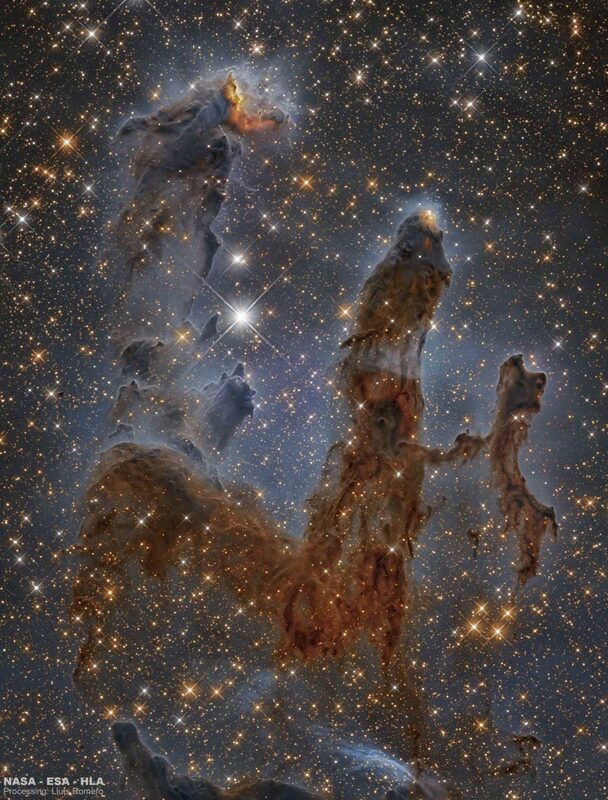 Image Credit: Pillars of the Eagle Nebula in Infrared by NASA, ESA, Hubble, HLA; Processing: Lluís Romero.